With over 15 years experience as a hygienist and dental assistant, Alla has a great understanding of dentistry. Precise technique, a gentle touch and a passion for dental hygiene will ensure an excellent experience! Alla is also fluent in Russian and grew up in Boston. Ask her about her love for the Red Sox! Tina is our dental assistant. 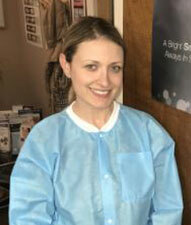 She has worked in our office for 10 years, she also has over 15 years of experience as a dental assistant. With a smile and gentle touch, she is sure to make your dental experience a pleasurable one. 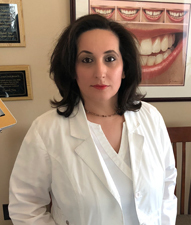 Shayvionne, better known as Shay has 19 years of experience in the leadership role in the dental field and over 25 years of superior customer service experience. Shay greets everyone that walks in the door with a smile and brings a level of energy and compassion to all of our patients. As the office manager, aside from my daily front office duties I love interacting with our patients. I enjoy preparing new patients for their appointments, verifying your insurance and making sure you are aware of how it works, discussing recommended treatment and your financing options. My goal is to make sure that you are comfortable, and understanding of what to expect every step of the way. Outside of the office, I enjoy being an entrepreneur, traveling and spending time with my fiance and 3 adult children.